Cosmic Copper Noodle Bracelet Adj. 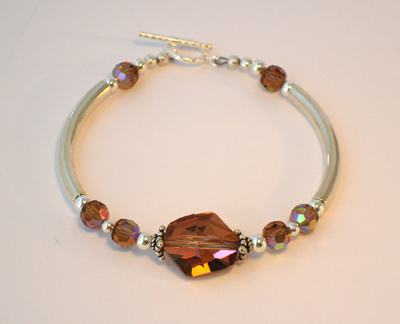 This fabulous bracelet is made of fine Swarovski crystals in Crystal Copper, noodles of smooth, seamless sterling silver, and sterling findings. Pair this bracelet with the Cosmic Copper earrings and you've got a gorgeous set! 6-1/2".